April | 2014 | NICE! 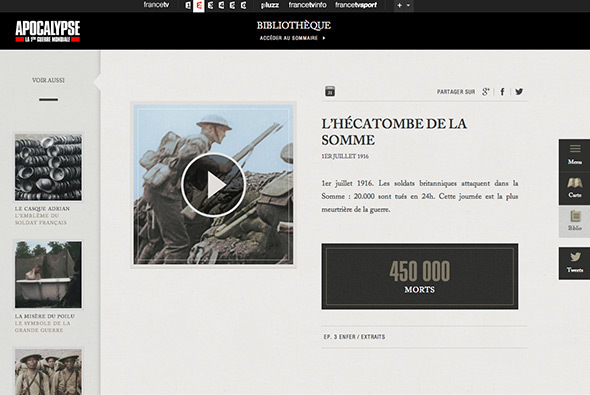 Site for French TV Channel ‘France 2’ – and their programmes about France in WW1. Set like an encyclopedia of important events centred around a map (which like the old school Flash days curls up when you visit events). 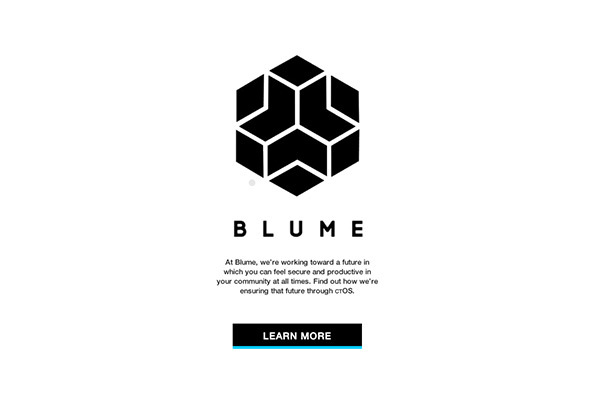 A very rich interactive site full of videos, images, and transitions – which feels like an old school rich Flash site – when in fact it isn’t – great to see sites like this which aren’t a standard parallax site. 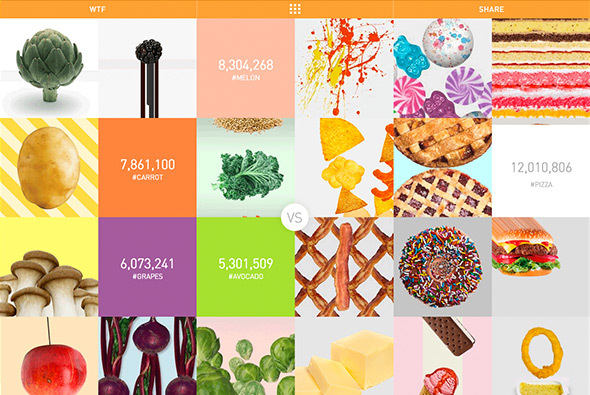 Fun site for Bolthouse Farms to promote healthy eating by tracking how little people post socially about fruit & vegetables. 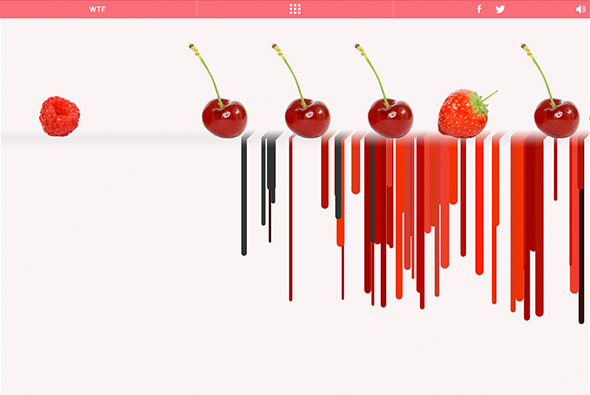 Interesting way of showing this by loads of fun experiments such as clouds of grapes, a row of fruit you can squish, a carrot keyboard and so on! Fun way of highlighting the difference in healthy vs unhealthy food in a non educational / boring way. Created by Tiny Rebellion (@Tiny_Rebellion). 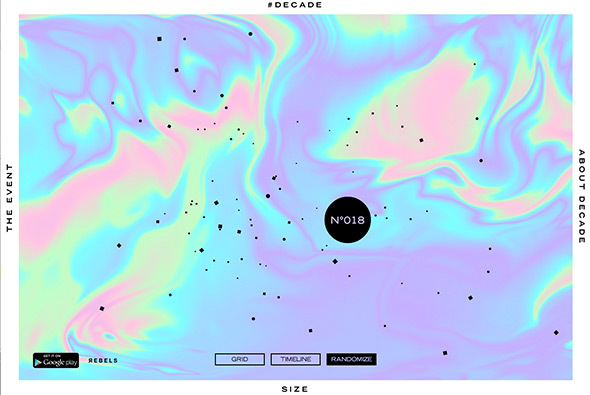 Site celebrating 10 years of electronic music label Size. 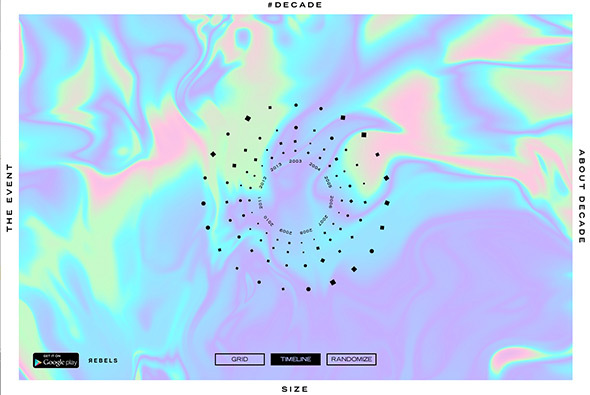 Through a 3d grid of records that you can listen to and explore. Nice and slick animations and transitions to see the records – also like the way they have organised the records in different views i.e. 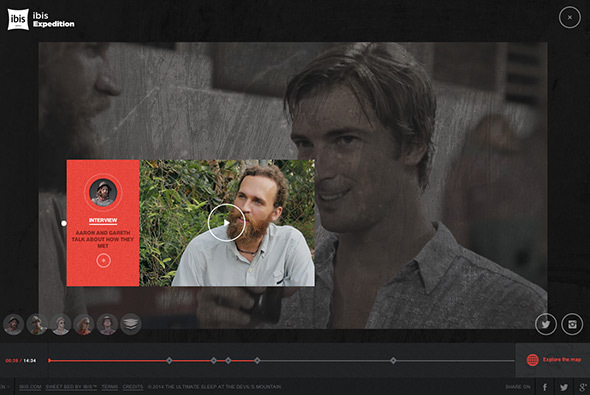 timeline view / grid view – all in all a nice little slick site. Created by Your Majesty Co (@yourmajestyco) and Rebels Studios. 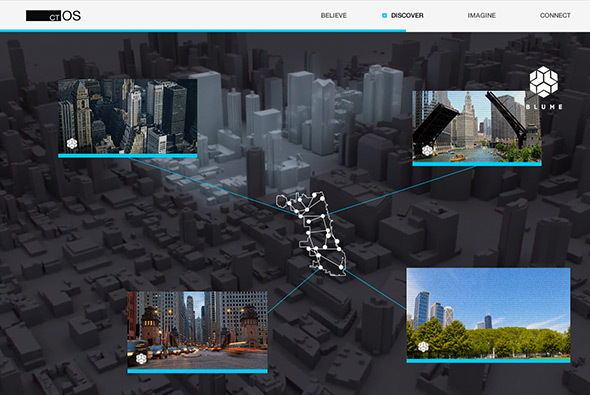 Micro site to promote the new game ‘Watch Dogs’ through a psuedo real site of the city wide security operating system shown in the game. 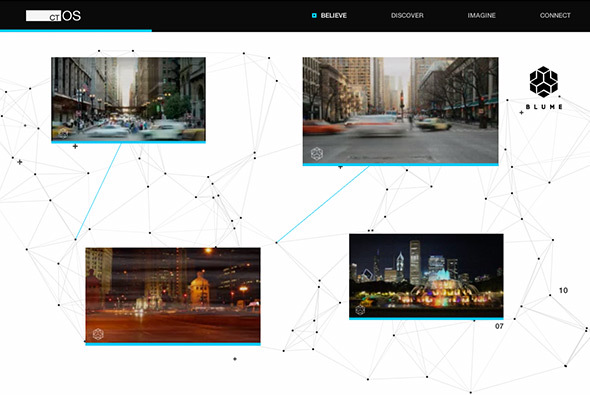 Brought to life through animated info graphics, animation, and transitions. In a similar vein to the Meet Your MX site where a whole world is created around a product or service. Looks good and is a nice use of animation and an interesting approach to promoting a new computer game. Created by Ignition Creative (@igntn). 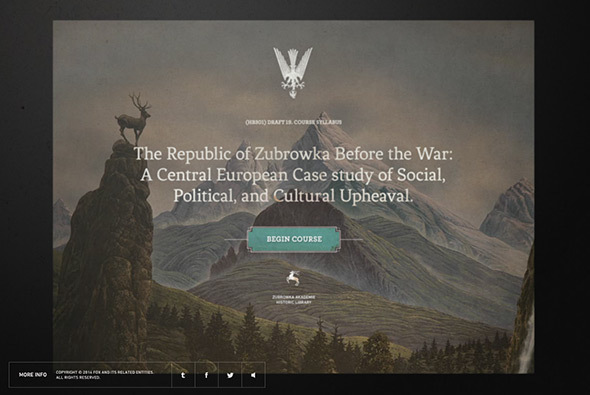 Site promoting the new Wes Anderson film ‘The Grand Budapest Hotel’ – through the guise of on an online course ‘Akademie Zubrowka’ to learn about world of the film. All done through the style of a projector – with lens blur and sliding transitions. 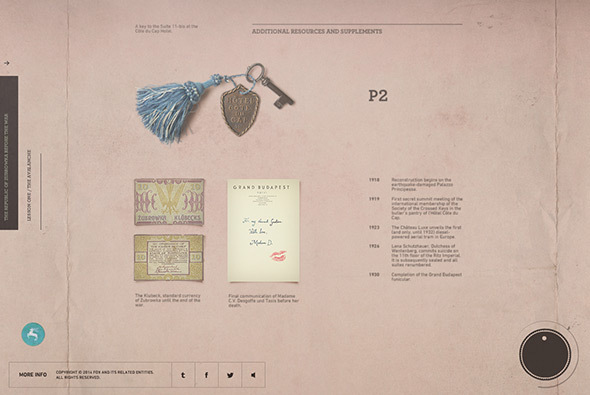 Loads of lovely details such as looking at the individual items – zooming in on them. It looks great and the overall visual style of site is quite distinct and matches the film and posters well – really nice example of a film promo site. 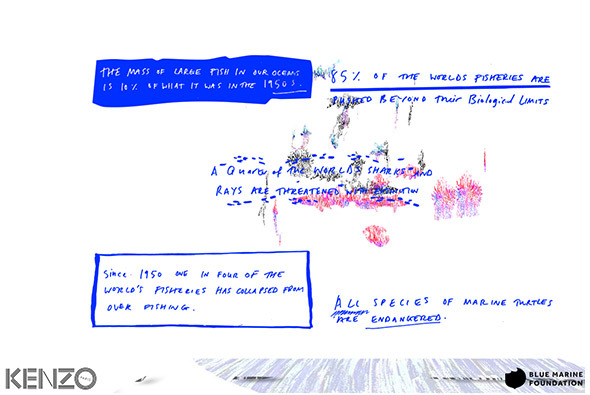 Created by Watson / DG (@watsondg). 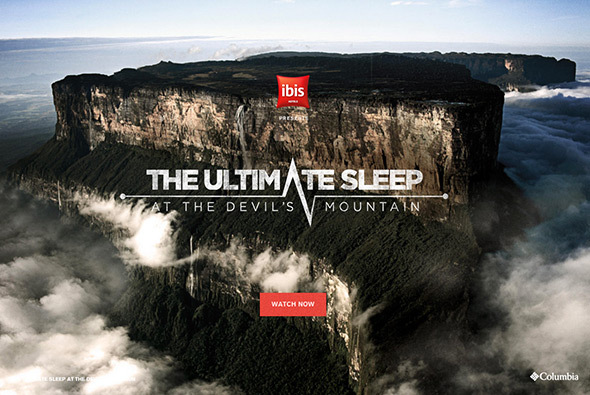 Interesting idea – to take the an Ibis Hotel bed to the summit of ‘Devil’s Mountain’ for the ultimate night’s sleep. 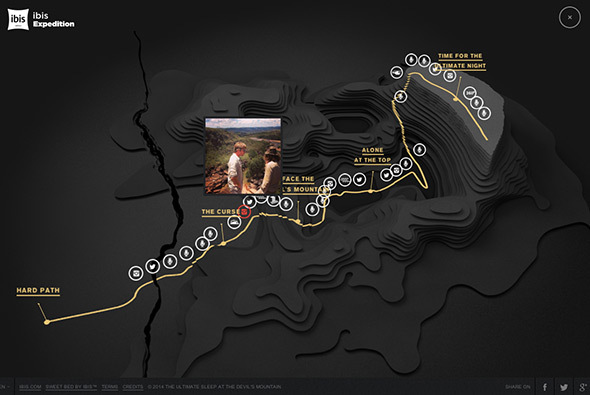 Following a format of a travel / expedition short film – with an interactive timeline, extras and a really cool 3d map. 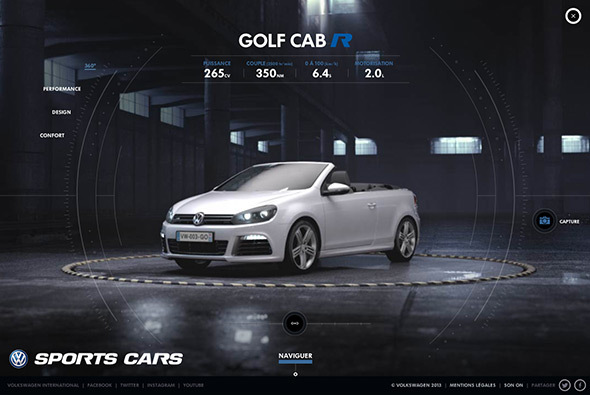 It is a surprisingly sophisticated interactive experience considering the client and subject matter – with loads of transitions / sliding panels / and cool animations. 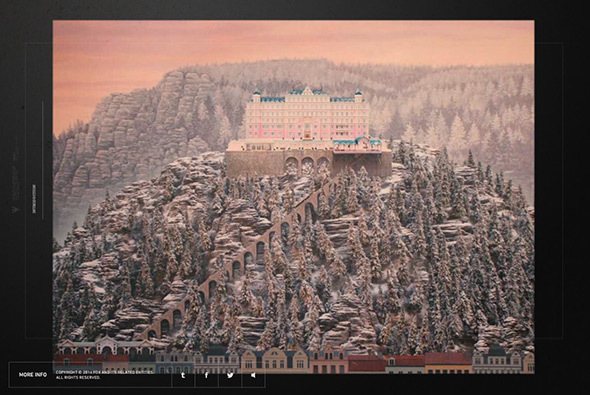 A fantastic example of a modern, sophisticated interactive film. Created by BETC Digital (@betcdigital) and Anonymous (@anonymous_paris). 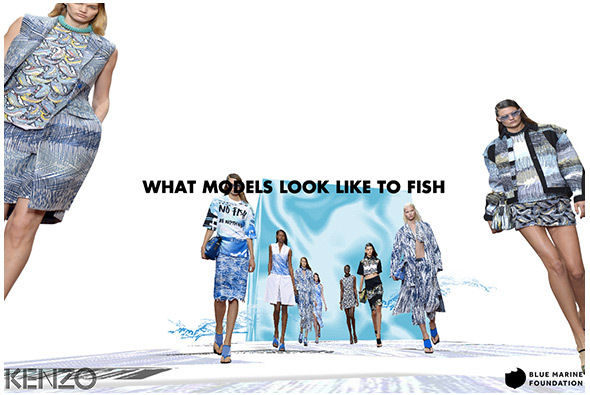 Site from Kenzo trying to raise awareness about the global decline in ocean life. 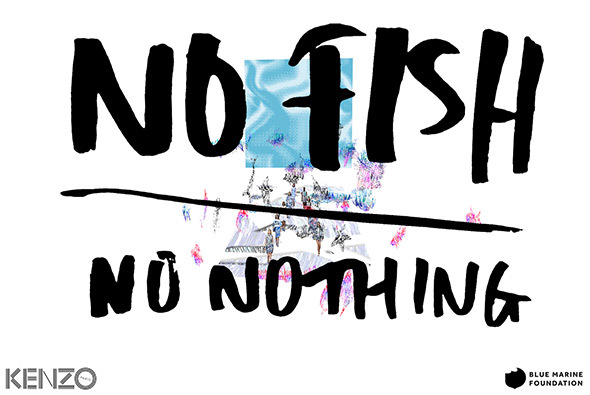 A tie in with the Blue Marine Foundation Kenzo have also released a line of tee shirt and sweaters too. 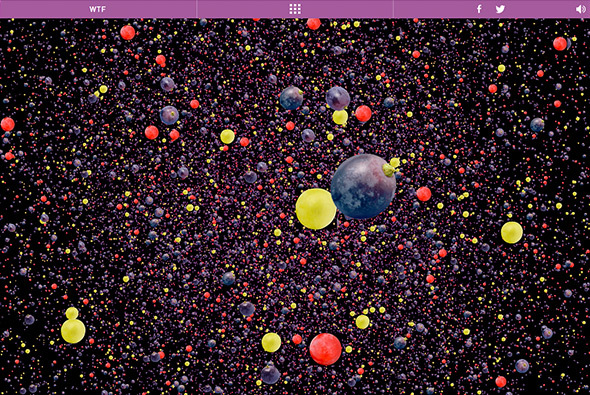 Interestingly done through a 3d scrolling site, as you scroll your view explores the screen in a uniquely Kenzo way – colourful and bold. 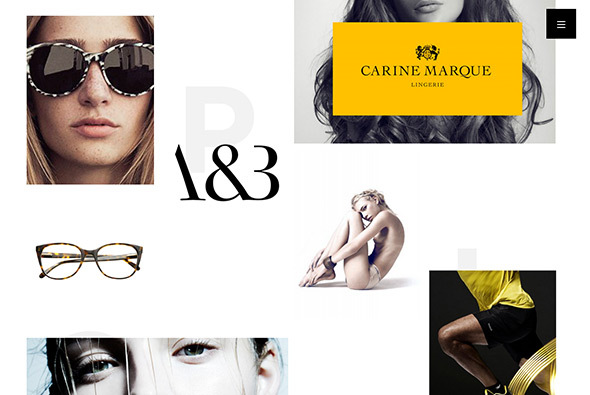 Nice new site for Pollen a branding and design agency for the fashion sector. 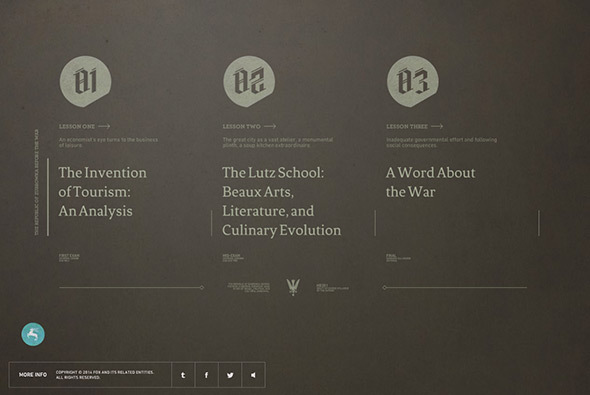 Responsive, modern site – love the slide out menu and the slick transitions / preloader to the individual projects. Nicely laid out the offset grid maintaining it visually interesting throughout. 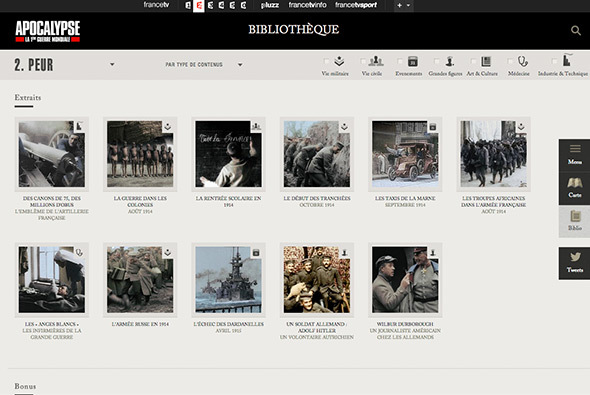 Individual stories for each of the projects offering moodboards, user journeys and so on make it a bit different to the mainstream portfolio site. Nice. 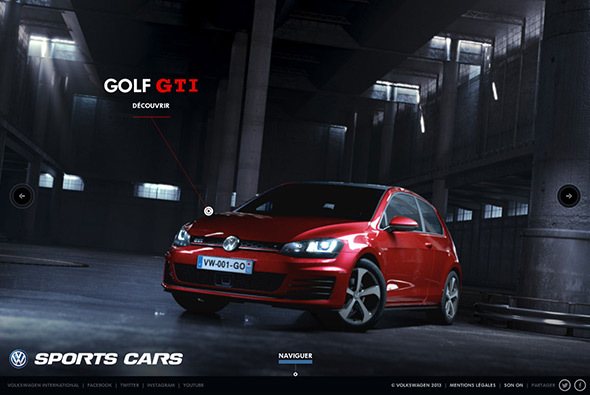 Really nice site for VW France showcasing VW sport cars in a rich and interactive environment. 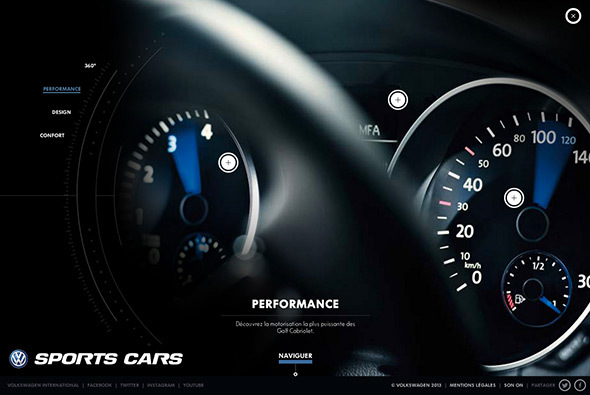 Featuring several cars that you can spin around in a dark and moody warehouse – with key stats design details and so on. The amount of detail from the 3d models to the animations is incredible, every small transition has been considered. I love the transitions from the home screen to the cars, and the way the 360 works, also all of the hotspot transitions. Another really cool part of the site is the way it responds, so desktop users get the full rich experience, tablet users get a very similar experience using the same content and videos and mobile users get a much more stripped back version – they all work really well. 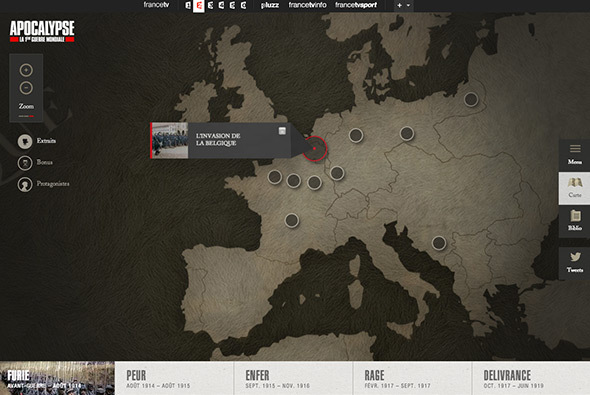 It looks great, feels great and is a fantastic example of a modern responsive promo site. 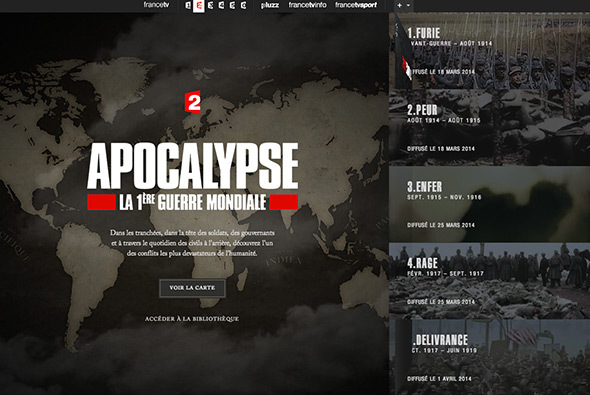 Created by DDB Paris (@DDBParis) and Merci-Michel (@MerciMichel).